Question: Will I get hurt? Answer: Budocentral programs are a non-tournament martial arts where the focus is on perfection of technique not tournament accolades or aggression. Like any sporting activity there are always risks of injury, however injury is less likely in a non-aggressive system like this. You will definitely have stiff and sore muscles from the workouts, this is expected with any sort of fitness program. Question: Why is it so inexpensive to to join Budocentral, are there any hidden costs? Answer: There are no hidden costs. We do occasional seminars which are optional to attend and the uniform is not required for the first few months to ensure students are dedicated to the art. The club (and any of our programs) is not a commercial venture and is run by volunteers making it much more cost effective for all. Question: I would like to join but I’m still not sure. Answer: Come watch a class or join in on a few classes prior to committing. If your interested you can sign up after. Question: I would like to try a martial art but I feel I’m too…… old…… out of shape…. Answer: Attitude is everything! If you feel your too old to dance than you won’t. 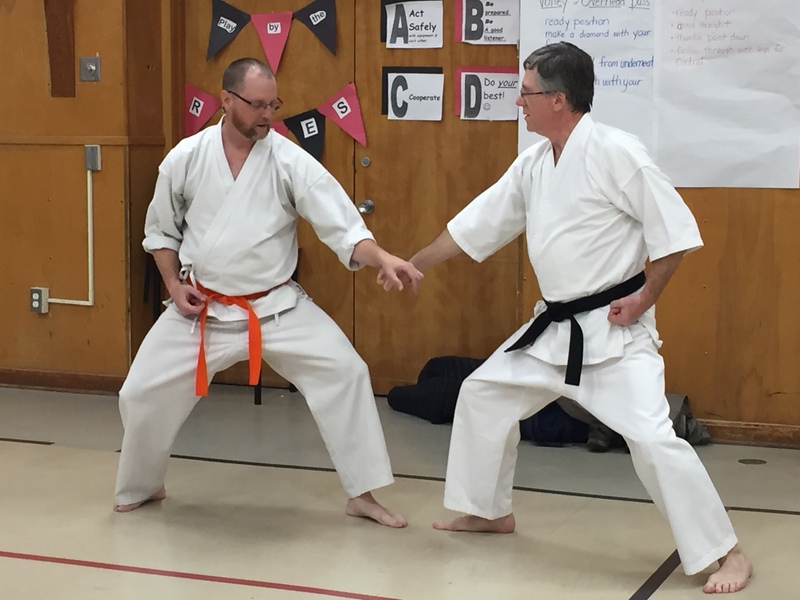 We have had students from all walks of life, with disabilities that you would think would prevent anyone from a joining a martial art, but they do. You are responsible for your own limitations…. if you think you can’t, you probably can’t! Students work at their own level with their own progress. If you have medical issues please consult a physician first and let us know of any limitations. Question: Do you work with weapons? Answer: By weapon, if you mean Japanese weapons, we hold a sword class once a month. We also, have worked with the Bo, Jo and Escrima sticks. Question: Do have protective flooring? Answer: We use professionally made 1 3/8 inch vinyl wrapped high density foam mats to help protect our students in ju-jitsu during throws and falls. 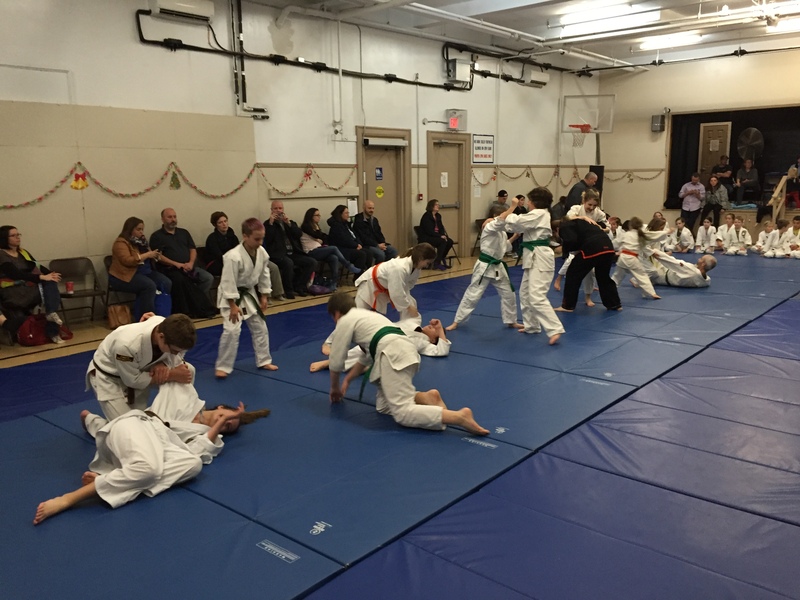 The mats are not needed in Karate as you remain on your feet during class. Although we only accept new students September, January and April you can drop by any time to check out a class.